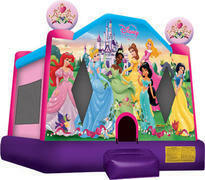 Proudly serving Phoenix and the surrounding areas, 2 Dad's will deliver the best bounce house rentals Phoenix has to offer. 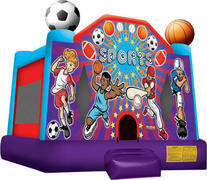 The bounce house is the perfect way to combine fun and healthy activity, and will add value to any Party, Event or celebration. 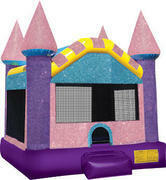 Promote healthy activity and entertainment with easy set up and safe jumping with these inflatable bounce houses. 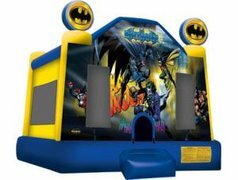 We have lots of great bounce houses to choose from, including our popular Dazzling Castle, our Sports Bouncer or even our Batman bounce house. 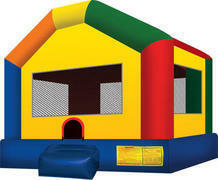 We also offer inflatable water slide rentals and the best obstacle course inflatables as well. Our dunk tank rentals are also in a huge hit during the hot summer months in Phoenix.